Whether you're there 100% to get your sweat on, you come for some mama socialization time, or you fall somewhere in the middle, these tips will help you maximize your time with us during Stroller Strides. 1. Don't use your kids as a crutch during the workout! We've all considered it. Some of us do it more than we care to admit! Instead of holding that plank for those last 30 seconds, why not just hop up and tend to the kiddos. They are probably due for another snack, right? NO!! Banish that way of thinking from your brain right now. Commit to taking that time for you. You can do anything for 30 more seconds just like your little workout buddy can wait for 30 more seconds! 2. If you are physically able - attempt the hardest version of each exercise. Everyone at class is at different points in their postpartum journey. The mama to your left might have just received the doctor's "okay" to workout again after healing from a rough c section. The mama to your right may be running swiftly from station to station with a heavy three year old in her stroller. Only you know where you are at. Don't sell yourself short or not take advantage of your time with us. 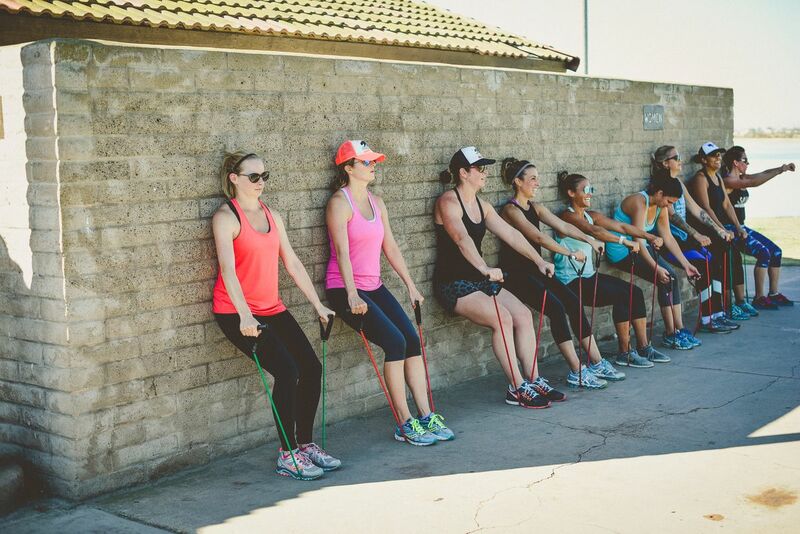 We are here to support #allthemoms and we want you to get the workout that is best for YOU! 3. Don't let the fussing get you down! Some days those kiddos may sleep through the whole class. Other days may not be so peaceful and that is FINE! Kids are unpredictable. We get it and are here to help you out. We are all moms. You're in good company. F4M Lou staff are there to help distract those fussy littles with bubbles, stickers, songs, or maybe even a little stroll so that you can focus on getting a good workout. Whether it is a mama that encourages you to get to Strides or someone that is always there to offer a motivating word when you are giving it your all in class - reciprocate that support! Be intentional about attending class together. One of the best parts of the #f4mlou village are the mamas and relationships formed among them. Carve out time to make your health a priority. Sit down with your calendar over the weekend to decide when you'll have time to get to Strides or Barre class. Go ahead and register for class online to hold yourself accountable. When you get to class, put the snacks and toys within arms reach for your toddlers so that they can entertain themselves while you are working out.